Sam’s practice divides into three broad specialisms: Employment, Chancery/Commercial and Personal Injury. He has been on the Attorney General’s Regional Panel of Counsel since 2007 and has been consistently recommended for Employment work by the Legal 500 and Chambers & Partners. In 2015, he was appointed a Deputy District Judge sitting on the North Eastern Circuit. 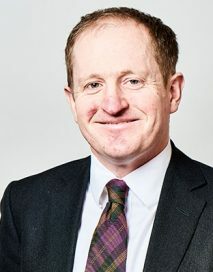 Employment litigation in the civil courts including contractual redundancy, wrongful dismissal, restrictive covenants and commercial agent disputes. A whistleblowing complaint brought by a medical research scientist against a leading university. A Bear Scotland claim for holiday pay brought by multiple Claimants in the context of a complex “rolled up” holiday pay scheme. A claim brought by a director for over £150,000 owed in respect of wages, successfully defended and dismissed at Tribunal. A successfully defended claim of so-called ‘reverse’ sexual orientation discrimination. Successfully defending a two-week whistleblowing/disability discrimination claim against a leading comprehensive school. Sam is regularly instructed in employment appeals in the EAT and beyond. The victimisation provisions of the Equality Act 2010 and their interplay with the guidance given in Martin v. Devonshire Solicitors. Whether a TUPE “transferor” is entitled to offset against compensation it is ordered to pay the claimant an amount the claimant has received from a “transferee” under a COT3. Whether an employee who moves to live outside the UK but who, by reason of online access, remains a ”virtual” presence in her employer’s UK office, can bring unfair dismissal proceedings before a UK Tribunal. Whether knowledge of the effects of disability is required before an employer can be held to have discriminated against an employee under s15 of the Equality Act 2010 (Discrimination arising from disability). The causal test to apply to s15 disability discrimination, including at the Court of Appeal (led by John Bowers QC). Real Property, including proprietary estoppel, sale of land, adverse possession, boundary/easement disputes, nuisance and restrictive covenants. Wills & Probate, including administration disputes, contentious probate and Inheritance Act claims. Professional negligence, particularly against architects, developers and solicitors. A commercial partnership dispute between father and son, concluded at Arbitration. Application for rectification of a Trust Deed. A claim for proprietary estoppel based on property improvements carried out by cohabitant. A dispute about the incidence of costs following the settlement of a partnership dispute at an earlier mediation (Resolved at Trial). A dispute between brothers and executors of their parent’s estate (Settled at mediation). A dispute between home owner and highway authority on the position of the boundary between adjacent parcels of land (Trial). A claim brought by a mortgagee against squatters of a property. Sam has practised in Personal Injury all his professional life. He now has a wide-based Industrial Disease practice (particularly deafness, but also WRULD, HAVS, asbestos-related conditions and stress at work). He has a wealth of experience in employers and public liability matters. Sam also deals in clinical negligence disputes. Sam is regularly instructed by Government departments, most frequently the Ministry of Defence in military claims. “A specialist employment advocate with a vast abundance of experience to offer to his clientele across the breadth of the practice area. He has been particularly commended by market commentators for his impressive experience handling TUPE and discrimination claims. 1996-97 Université de Poitiers, France.